Georgia O. Lutes, 102, of Bourbon, passed at her daughter’s home on Thursday Oct. 25, 2018. She was the youngest of 12 children. She was born the daughter of Isaac and Mary Muffley Sechrist on Oct. 22, 1916 at Etna Green, and was a lifelong resident of the area. She was a graduate of Etna Green High School in 1937, and a mail carrier at Etna Green for 13 years, worked at Playtime for 20 years and was a shell maker at Kingsbury Armory in her earlier years. She enjoyed her friends and, most of all, her family. 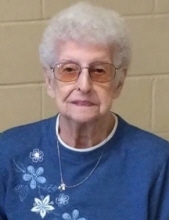 She was active in Altersgate United Methodist Church of Atwood and Daughters of the American Revolution when she was able. On Feb. 14, 1937, she married the love of her life, Forst W. Lutes, he preceded her in death on Dec. 8, 2003. Mrs. Lutes was blessed with her daughter, Judith Burgess of Bourbon; seven grandchildren; four great-grandchildren and 29 great-great-grandchildren. Preceding in death were her parents, husband, daughter Marilyn Anderson, grandchild Jeffery Anderson, great-grandchild Austin Duane Boyer, great-great-grandchild Payton Shae Stogsdill and her brothers and sisters. The Deaton-Clemens Funeral Home is in charge of arrangements for the family. Services will be held Monday, Oct. 29 in Deaton-Clemens Funeral Home, 115 S. Main St., Bourbon with Pastor Mike Beezley of Altersgate United Methodist Church officiating. Burial will follow in Stony Point Cemetery, Etna Green. A time of visiting with the family will be on Monday, from 10 to 11 a.m. The family requests memorial contributions be made to the Bourbon Fire Department in her memory.